It is a bit overwhelming to realize that you have bled your whole heart – the ugly sin, the raw emotion, the unbridled truth – out on paper for the whole world to read. It is a bit exhausting to hear over and over again how “awesome” you are when you, in fact, know very well that you are not. People expect romantic, and all I have is a wildly disorganized bookshelf and dirty children shrieking with too-loud laughter. People expect that the days all hold life-saving medicine given to children on the brink of death and profound revelation and while some do, most consist more of peeling potatoes and wiping spills and listening to recited memory verses and biting my tongue as spaghetti sauce splatters everywhere and I light the pot holder on fire, again. I believe the lie that I must meet expectation, and I try harder. I stay up later answering emails and I desperately try to finish a book that I said I would endorse and I organize the bookshelves and wipe down the counters again. I brush past the children who hold my heart in order to be a “good mother” who has homemade food on the dinner table on time. We finish lessons and recite Psalms and fold laundry and welcome visitors. Life gets too busy, it gets so fast and so full that at the end of the day it can feel just empty. This was not the first time I had been here and I knew what to do. I pull back, I dig into the Word and I listen. The lesson whispered in the quiet is always the same. My friend Sara calls it Adoration. My friend Ann counts it all up as Eucharisto. Paul says it’s the secret of contentment, hands full or hands empty. Whatever we name it, it is astounding Truth: Communion with the Savior is the only thing that makes anything matter. I choke because my every day life begins too feel small compared to the expectation. And He breathes truth that a life is not made by lives saved or bellies fed or words written. To adore the one who created the Heavens and the Earth, to give thanks for who He is and all He has given, to worship and commune with Holy God, whispering in the quiet, clinging in the noise, believing in all circumstances – this is what makes a life large. The miracle is joy in Him in a day that goes all wrong. The miracle is standing in awe of abundance as I chop carrots and bathe babies and fold laundry. The miracle is a Son sent to die for the very likes of me and His ever-pursuing love for me still. Paul knows the secret, and even when I think I learned this lesson already Jesus teaches me again: we can live a full life wherever we are – even in the days that seem to small – when we live in communion with the Savior. We look up, praise on our lips, and as we worship Him for all He has done our hearts open wide to more. We wait, expectant, for all that He is doing and this is it, this is life to the fullest. Foster babies go back to their families. How do you raise a child as your own and then say good-bye? I guess because you know that God ordained their family to be another one, but that doesn’t make it easy. My baby will start therapy before she starts kindergarten. I do not like the idea of a child having to endure trauma so that one day she may learn from it, or teach another about it. But I still believe He has purpose, even when I can’t see it. I look outside at the insanely noisy game of tag taking place in my yard: 4 Hindu neighbors that my children are praying desperately to reveal Christ to, 2 little girls off the street who lost their mother 2 weeks ago and passed by for a drink of water, 13 little girls that have walked through hell and made it out on the other side with a family. Is there anything my lips could say but thank you? I don’t know what to make of it all, but I can’t think of anything to do but praise the God who is always working and will not leave us here. Where I end, He is only just beginning. Paul says he strains to take hold of that for which Christ Jesus took hold of him and isn’t this why He took hold of us -that as we open our lips to praise Him for who He is, He opens our hearts to be transformed in His likeness. He trades my dirty rags for the splendor of Him, breathes new life into dry, dead spaces. We know the secret: Christ Jesus crucified and risen from the dead reaching out for relationship with you and with me. And a heart turned toward Him is the only way to live full of joy. On the days when children run around the yard happy and the bread rises warm in the oven and those we’ve been nursing return home with new life in their veins, and on the days when the reading doesn’t get done and I half carry a mother up the hill to the place they will lower her 3 year-old’s body into the ground because of a fever – a fever! - and life seems too unjust and the head wants to shake “no”, my lips will say yes to all that is Christ and I will adore my Savior. Communion with God is what we are standing up under here – on the days that go as planned and on the days that don’t. On the days with expectations left unmet and dinner running late because of an extra game of hide-and-seek, on the days that seem mundane and the days that seem magnificent, we are saying yes to all He gives and we are saying thank you. where there is not water. I have been struggling lately with my life's work as a wife to my husband and SAHM to my two daughters, the days are just never long enough and the work never seems to end. It's so easy for me to cop a bad attitude b/c I feel over worked or that I cannot get everything done or (really) that I am terrified of screwing up my children--of failing to bring them to Christ. It's so easy to wander away from God's grace. We all need constant reminder of why we are really here, maybe b/c it's seems 'too easy' for our sin riddled minds? Thank you for this reminder and thank you for being His vessel. So grateful for your (imperfect, but gloriously redeemed) heart! Thank you so much for being open and honest! You have been such a huge encouragement in my life and gave me the heart to step out and do what God has always called me to do, be a missionary like you! Keep up the good work! It is difficult to lay down the expectations of others and to only pick up Our Heavenly Father's expectations for us ~ but this is where we find peace. May that peace be yours today as you are looking to Him. Blessings. No expectations here ... just a whole lot of support and encouragement for the work that you do (and an understanding of a tiny bit of your life, as a fellow mama of a whole lot of children). Keep resting in the Lord, and focus only on the things that He expects of you. I think that, in fact, you ARE pretty darn amazing.. I think that perhaps you are so used to doing what you do that it has become a trifle in your eyes when in fact it is a huge thing that have done/are doing. You have left the country of your birth to administer aid and comfort to a people who are desperate for it. How many lives have you saved? How many lives have you changed for the better? How many souls have you saved? How many people have you touched, given solace to, inspired or called to God with your writing? Every word out of your mouth is for God... I think that if you look at what you have truly done, you will be amazed and the scope of it. I also think that it is a huge disservice to your girls for you to not think highly of what you do... what are you teaching them? That no matter how amazingly huge what they do is that it is not enough? That it is never enough? Is that a lesson that you want them to learn? You ARE amazing and to not think so is a little delusional :) I adore you. You have given me so much love for God and I am SO inspired by you and what you do... I am not enough.. I could do more... I am not amazing, but you... you truly are. Katie, we love you because we see Jesus in you!! We are not praising you but Jesus who lives in you for the whole world to see. We long to see His face but for now we see the ones, like you, who give their all in complete abandonment with such joy, hope, trust and faith. Katie, you are teaching us all what we should look like as we follow Christ. For that, we thank you and praise Him! Bless you!! I am so thankful to Jesus for my brothers and sisters. It's so sweet. I read this blog entry with something like a sigh of relief. I am reading Ann Voskamp's book and actively seeking Echaristo in my life. As an adoptive mother to 4 foster children, I read your stories (loved your book) and connect on a small level. I hear so often praise, how amazing we are for adopting these children when I know how I am struggling to love them well. How I am an angel whose "place is assured in heaven" when I am minute by minute falling short so often that only God can make up for it. I forget that I don't need to pretend to be that amazing angel (who let's face it, doesn't exits) and it becomes a heavy person to try to be. Thank you for your willingness to bare your life to those of us who know how desperately we need a savior. God Bless! you have such a beautiful way of conveying truth and your thoughts on "paper" or the blog world. Thank you. My husband and I are foster parents, and so often we hear the same thing, "You're so amazing, I don't know how you do what you do!" It's almost painful, because this journey has only shown me how NOT amazing I am - my brokenness is held under a microscope. Thank you for being so open and honest. I can't imagine sharing my life with so many people I have never met before. I pray God fills you up each morning, and keeps you energized throught the day. I pray your family stays safe and that the light of Christ would shine through each of you. Thank you for being so open and honest. I can't imagine sharing my story with so many people I do not know. I pray that God fills you up each morning and that He keeps you energized for His plan for the day. I pray that your family stays safe and I pray that the light of Christ would shine through each of you. I read this post this morning, then came back and read it again this afternoon, after i was struck with discouraging, heartaching news. it is beautiful, the truth that is hidden within this post. the miracle that happened today wasn't that i got a good report, it was that God was there with me as I cried those tears of exhaustion and frustration and pain. i wish i could explain everything you've meant to me- the way you've touched my heart through your blog posts, and your book. but that would take a much longer comment. the smiles in all of these pictures, including your own, are infectious and so joyful...God's blessings and peace to you all! Thank you for your honestly, and thank you for being real. May He continue to bless you and your family, Katie. My all time favorite psalm! So true. Thank you for the reminder. Abba, Daddy, who art in heaven, HOLY HOLY be thy name! Thy KINGDOM come, THY WILL (not ours) be done on earth as it is in heaven. Amen, sisi! I know you have more important things like being a MOM, but I know I didn't come across you by accident. You write beautifully! I know what it is like to feel empty at the end of the day, like After I do all I can, it is not enough. Thank you for reminding me to praise him no matter what. Perfection is a myth. We do what we can thru him and let God take care of the rest. Thank you for sharing your story. God Bless. You write beautifully. I know what it is like to feel empty at the end of the day, like I can do all I can and it is not enough. Thank you for reminding me to praise him no matter what. Perfection is a myth. We do what we can thru him and let God take care of the rest. Thank you for sharing your story. God Bless. Beautiful. I agree and praise God alongside of you. I was having a really hard time with one of my adopted sons this morning - I caught myself feeling not just 'bent low' but weary and discouraged. It was in that moment the Holy Spirit reminded me - "You're not going for the Mother of the Year award; But 'Well done, good and faithful servant!'" And then, just as an extra gift, Jesus used the honesty in your blog to reassure me that I am not the only Mother who needs to be reminded of this every now and then. I just finished reading your book in under a day and I can't tell you how many times I had to put it down just to wipe the tears away. God has blessed you with a huge compassionate heart. The love of God overflows from your life and it's amazing to just read about how God is working through you. You don't know me and all I know of you is this blog. You are a blessing to many. More importantly, you are a blessing to the household you have chosen to give so much up for. Most important, you reflect the heart of Jesus in what you do, what you write about, and I suspect what you say. You do what so many of us either cannot or will not do...never downplay that. Jesus is using you in a mighty way! You are such a living testament to our Jesus. Praise God for your humbleness, for your teachable spirit. I love your heart, dear sister. So much. And all of God's children said...Amen. Beautiful and Inspiring! It's true that on both the amazing and the mundane days we must turn towards Christ to find true fullness. An appropriate reminder in a busy world. Thank you for your work and for giving the glory to God! Oh Katie...thank you for being honest. I hate that words lay weights on you. I can say your life does inspire me and others...but I would never want you to feel there is some invisible standard for you to live up to. God has given me a wonderful honor...to pray for you daily. There are somedays all I pray is give her the strenght to get through the end of the day and give her deep rest. Katie...may God give you His strength and wisdom that you need...and may you find rest in His love and care for you. Katie, I have long struggled over being content, as Paul speaks, as my very nature is to take control and want God to bend to my will instead of vice-a-versa. I've been pondering what it means to be still and know that He is God lately, and your blog resonated with my heart. So much of what you say resonates with me and brings truth--God's truth--to my life in a way I can soak in. God has used your words and story in my life in a tremendous way. Thank you for being generous enough to the rest of us in your willingness to open up your thoughts to us. Your blog always brings me to tears...no wait..God's love brings me to tears. Sometimes I feel like nobody understands what it means to be a disciple for Christ, so it's really encouraging for me to read what's on your mind and heart. I hope to meet you, my sister in Christ, someday. 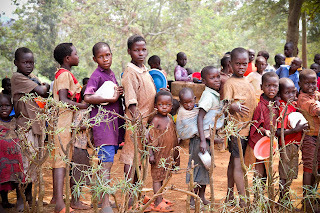 I'm always praying for you and your many children in Uganda. Hi Katie, my name is Mia. I'm 13 years old and Im from Colorado. I fell in love with Uganda when I was about 8 at a Watoto Childrens Choir concerrt. We've adopted a boy from ethipoia and girl from Liberia. 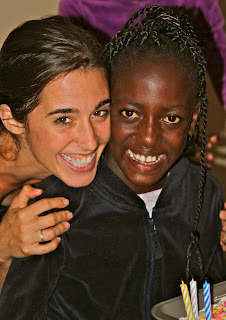 We are in the process of fostering/adopting a Rwandan girl from Uganda. 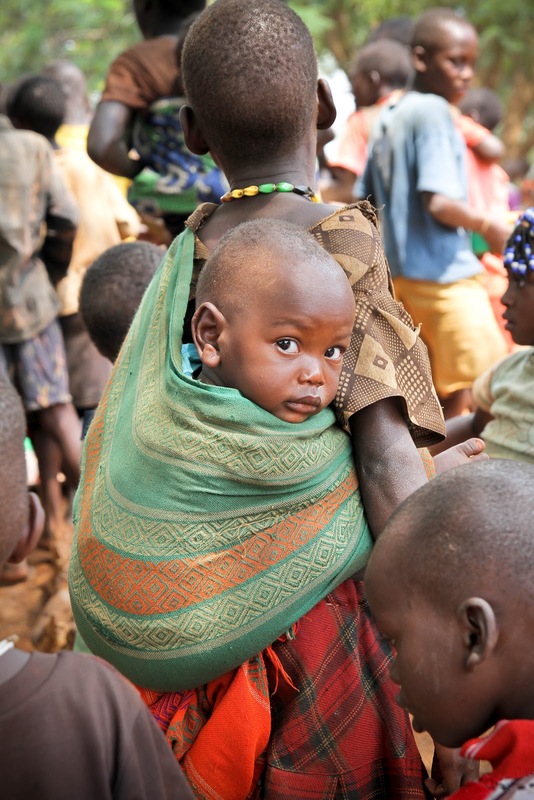 I want to go to Uganda so bad! I definitely will go someday. Any tips on what I should do until I can go? Where to start? Thanks(: you are my role model! Thank you for updating this week! It is incredible how fast we forget or how we think we have learned a lesson and yet, we are much like Israel, we need to keep learning the same thing. In our humanity, it is impossible to be like Him, but through the divinity of the Holy Spirit we grow. Your posts are encouraging. I appreciate your honesty, your heart for the people, and how God is continuing to mold you. You have so many people praying for you, for the land, and know that God will send more workers for the harvest...I am definitely praying for that. Thank you for reminding your readers of His faithfulness...Isaiah 65.24 With love, Kortnee. Thanks for posting this! I needed it today. It coincides with what I just read by Oswald Chambers: "No one is born either naturally or supernaturally with character:it must be developed. Nor are we born with habits-we have to form godly habits on the basis of the new life God has placed within us. We are not meant to be seen as God's perfect, bright-shining examples, but to be seen as the everyday essence of ordinary life exhibiting the miracle of His grace." May God continue to use you for His glory. Beautiful, beautiful, beautiful!!! Thank you for your heart and for the vulnerability you allow us to see as we share your journey with you. Be blessed sweet Katie and your whole family. You have touched and inspired millions. What a blessing your writing is - and you are so right - God has wonderful plans for us right where we are - no matter where we are... we all struggle but can shine through and glorify Him through even the smallest task such as changing a diaper. God is using you to be such an encouragement to so many people and today I'm one of them! In sermons my pastor has mentioned life being "busy" as opposed to life being "full". This post was just another reminder to me that I let my life get too busy and I don't allow it to be full enough. Thank you for being willing to openly write about your life and what God is doing through you. Oh Katie, so powerful and true and lovely. These words minister to me. We lived in Honduras as foster parents to four boys. And we HAD to leave them. To turn our backs and walk away. That was 6 years go and still I ache. I give them back to God every day. And ask that He orchestrate their lives. When I pout and question, I make myself too large. He had them in His hand before I even knew their names. I have tested and found this to be true: communion with Him is the only Healer and the only thing that matters in the end. When I can say, Blessed Be The Name of The Lord. He gives and He takes away. Blessed Be His Name... I join the angelic choir proclaiming His Name Only worthy of worship. I bristle when I read books or reports that only include the glossy brochure reality. When I read the real words of a soldier weary in battle, it strengthens my spirit. With you, I proclaim... though I don't understand, and though He may slay me... I will worship the Lord. Thank you for being Love. Thank you for allowing Him to pour you out like a drink offering. Thank you for testifying of His Perfect Provision. He is Glorified in our weakness. Thank you for praising Him and giving our Savior all the glory. Only He is worthy and deserving. Oh that we here in the States, as the body, would adore Him and praise, and go to Him in the mundane and the spectacular. For exalting our Savior, I say Thank you my sister. You have a God-given wisdom beyond your years. when you don't feel 'awesome' know its the 'awesome' of the Lord that people see. Because He loves when we are 'messy'. You and your wise words are such and encouragement. Press on, Katie. We are praying for you. I have no words to even express what my heart felt as I read this entry. May our Lord give you all that you need just as you need it for now and for always. Blessings abundant! Katie live for an aundience of one- GOD has called you to a high task of motherhood so find satisfaction and rest in the one that called you there! We know your not perfect and that sometimes your days are filled with cutting carots and chasing after kiddies. What makes your story beautiful is that your doing all those things with a willing servants heart. Beautiful. Thanks so much for sharing your heart with me. Your family and you are beautiful. I just wanted to tell you that your story, and what you are doing has really inspiered me and encouraged me. I have always wanted to adopt kids from other countries rather than have them on my own when I get older(I only just turned 14) And I have also felt that the Lord has callded me to go into forign countries and tell others about the love of Jesus. I would really like to go to another country and work in an orphanage, or with kids when I get older. So anyway, I just wanted to tell you that I'm really encouraged me by hearing your story, because it sounds very simaler to what I feel the Lord wants me to do in my life. "For this reason, since the day we heard about you, we have not stopped praying for you and asking GOD to fill you with the knowledge of His will through all spiritual wisdom and understanding. And we pray this in order that you may live a life worthy of the Lord and may please Him in every way: bearing fruit in every good work, growing in the knowledge of God, being strengthened with all power according to His glorious might so that you may have great endurance and patience, and joyfully giving thanks to the Father, who has qualified you to share in the inheritance of the saints in the kingdom of light. For He has rescued us from the dominion of darkness and brought us into the kingdom of the Son He loves, in Whom we have redemption, the forgiveness of sins." what a tremendous blessing your words are sweetie. Your life...such a testimony of His life, in you. I am praying for you, and all those He puts in your path. Your doing it... His will. Katie, I read your book a few months ago and I am absolutely astounded by your willingness and trust in our Jesus. I am 13 and I'll be leaving for Kenya in 10 days. I praise Jesus for people like you who are willing to get your hands dirty and your heart ripped open, all for His glory. I'll be praying for you and the work that you're doing. Fight the good fight. Finish the race. Keep the faith. You have know idea how inspirational you are to people, even on the days where your faith seems to be running out and you feel small. Even on the days when it seems that nothing is going right. Thank you. And thank You, Jesus, for Katie. I have just recently "re-found" your blog. I am so thankful for it. I read your very first post and I remember reading it years ago :) Thank you, sister, for being such an encouragement and example. Wow. Wow. Wow. Praise Him. That's all I can say and your mind can agree and race from there. Thank you for your book, your blog and your spirit. I am looking....following really...my path towards helping children. Not sure where it is going, but trusting God to show me. I keep burning the pot holders too....so I'm hoping I'm on the right path! just started reading your book.. thank you for your courage and honesty! my hearts on fire for missions after quite a long while of focusing on earthly treasures.. i'm ready to get back out there and get my hands dirty.. thanks for keeping your your heart in heavenly places so we can be reminded of just how much better it is than corruptible wealth! while you may not have time to read my comment, I thought I'd leave one anyways. I feel that the most important things in life are the so called 'little things.' It is incredible that you are settled to do the menial things for your girls and those around you. While you've heard how you inspire others, you find joy (however hard) in doing what is set before you. I'm learning that very thing in the place I am now. May the Almighty bless you with His abundance. I recently finished your book and then read your blog from start to finish...I caught up to the present today and just wanted to express my gratitude for sharing your story...and for being willing to truly FOLLOW HIM. All the glory belongs to Him and with each chapter and blog post that I read, I felt more and more directed to Jesus. I thought I was living for Him before...and while my intentions were there, I clearly had (and still have) a lot to learn. I literally can't sleep because I am so full of excitement from all that He is teaching me. I feel like my eyes were half shut for so long and they just finally pried open. I just wanted to thank you...not for being perfect or to praise you, but just for being an example of one who follows him...and for being transparent enough to show that it's hard - but worth it. I'm all in. Thank you for all you do Katie. I just finished reading your book and loved it. God bless you and all the children. My Name is Taylor. I have just graduated from high school a little over a month ago. About four months ago I was really struggling what to do with my life. I love theater, I had spent every part of my high school career in my school's drama room. I honestly thought that was where I was supposed to go with my life. but little by little God started to close doors for me. I was not accepted into the acting department at my dream school, and nothing else seemed to be coming together. And out of no where my father and I had a vision of me taking off school for a year and working in missions somewhere. (This was before ever reading your book) I had previously fallen in love with the country Kenya. I knew right as my father and I toyed with this Idea that this was for me. I began to research orphanages and work out the details of what exactly I was to be doing with my life after high school. A month after making this decision my Aunt told me about your book. She suggested I read it. I could not put it down. (I can not lie, I have not yet finished it. But I am well on my way) But it has really clarified that this is what I am supposed to do. Even when you are talking about the struggles you went through from loneliness, to adapting to the new culture, I just felt at ease and longed for that. I have yet to figure out where exactly I am going, and through what program, and if any program at all.But your story was truly a blessing to me and something that I needed. I thank God for your testimony because it has impacted me forever. So Thank you! Katie, God has given me the privilege and that burden that doesn't feel like a burden to pray for you. I look forward to every post from you and to hearing more about your messy life, as it mirrors my own. I know you know, but your words and honesty help me remember, that His beauty is found in our mess, the most treasured irony of this life. Love you! I do understand. To some degree we all feel that great weight of expectation on us; that knowing we aren't exactly what people seem to think we are. But, our friends and loved ones see us through love and don't worry what our inward battles are. They love us anyway. And as you so perfectly described, our Father loves us and is our very sure refuge, love and strength. You are a wonderful woman, working at what you are called to do with all of your heart. And we are all the same. Whether that be saving the world or wiping up crumbs in the kitchen. Glad we can always find that peace in the midst of life and "feelings" as you described. Corrie Ten Boom was not the most beautiful, loving or supportive soul except through her obedience to Jesus. You remind me of her - not a cheerful servant, but an obedient one. Hence the glory goes to God! Wonderfully written! You have been called to serve Christ in such a beautiful way. Yes, people do expect romanticized stories of how great everything is all the time...that is not reality. Even in the States. Paul says that to whom much is given much is required. What an honor mixed with a lot of hard work! You are in my prayers and I will pray for endurance mixed with a continual joy in our Lord. Lord bless you and I hope you are having a great day. Katie, I can't tell you how this encouraged me. I wake up just about every morning wishing I was like you...living in Africa, pouring myself out and doing BIG things for the kingdom the way He's done through you. I have lamented often that my life is so small and sought out ways to live larger, hating myself for still living in America while the need is so great elsewhere...and the whole time, this answer has been right in front of my face. "To adore the one who created the Heavens and the Earth, to give thanks for who He is and all He has given, to worship and commune with Holy God, whispering in the quiet, clinging in the noise, believing in all circumstances – this is what makes a life large." thank you for speaking it with your life and inspiring others to do the same. Oh Katie. Thank you for, once again, bringing me, my heart, and my soul, to the feet of Jesus. *Many Tears*. I love you. Susanelizabeth. Thank you for being real and honest! even though and I know far to well that we all at times come up short, that in the eyes of Jesus He sees our heart and knows we long to only be used by Him and to Be His hands, His voice, His feet....Thank God for His grace and for hearts like yours that just doesn't talk about doing, but actually is doing to be His light! And for that you are "Awesome". God sees. We do our work as unto the Lord and not to men. I am praying for you, Katie. God sees. We do our work as unto the Lord and not to men. I am praying for you, Katie! Thank you Katie, for this reminder of what is truly important in life. It is only through this "without ceasing" communication with our Father that we are able to endure those dry and thirsty times. You've reminded me again and I thank you so much for your wisdom and God for His timing in using it. Katie-You are an ordinary, yet extraordinary daughter of the King. You inspire me, here in my lowly places. Thank you. Thank you for all you do, even in it's unglamorous parts. I praise God that you answered his call, and continue to. You will be in my family's prayers, you and your family. Katie. My name is also Katie and I am 13 years old. I have been trying to live by the verse 1 Timothy 4:12, because I want to be a servant to my savior and say "yes" to everything He has for me. But I live in house, with so much food and blankets we could sink a ship. 2 sisters that think my faith and love in God is silly, my father is dead, and my Mom is well, my mom. Now do not think I am complaining one bit. I am the most blessed person ever. But I sometimes wish He could let me help. I feel liked am just a person taking up more recourses than needed. I want to share the love and powerful word He has taught me, and I have been trying as much as I can. You might find this crazy, but is there a way I could help you? I pray for you and I do donate sometimes but I would love to go. To act. To physically show people the love God has from them. Please know that you and your family are in my prayers. Thanks for being such an inspiration. I am fourteen years old and am deeply moved by what GOD is doing through you. I loved your book and I really feel GOD calling me to be a missionary someday. I wish I could go to Uganda and serve with you right now, but I know GOD wants me to wait for Him to reveal His plan for my life. I will continue to pray for you and I just want you to know that you are such an encouragement to me. I want to be fully surrendered to GOD the way you are. Thank you for sharing about your life! Thank you for sharing. Jesus knew this is right where I am at today, and He used words to remind me that He is what I need. I am fourteen years old and am deeply moved by all that GOD is doing through you. Lately, I have really felt GOD calling me to be a missionary and reading your book has increased my desire more than ever. I can't tell you how much you have encouraged me. I wish I could go and serve(maybe even in Uganda, or wherever GOD leads me) right now, but I know GOD is telling me to wait for Him to reveal His plan for my life. Until then, I will keep on praying about it and growing closer to Him. I want you to know that I am praying for you and that you really have encouraged me. Thank you so much for sharing about your work in Uganda. THAT is Grace. His grace as only He can deliver! Um, am I mistaken or are your girls beginning to look like you? There is certainly resemblance in those broad and beautiful smiles! Once again, you make us ask the hard questions. What is our joy worth? What plans do we have that could possibly be larger than Gods? Grateful for a sister in Christ who is willing to bare her soul and share the behind the scenes, when so many of us put up the veil and pretend all is well and good. Thankful for Gods grace and love! I finished your book over the weekend. What I found incredible was when you said you missed being in Uganda while in the States because you missed having to rely fully on God. What a treasure that is. So many of us (myself included) spend our days making excuses for not "fitting" God into our schedule. I long to be in that place where all I have is God. And what I realize is that relationship with the Lord is available to me if only I would take it. If only I would decrease and allow him to increase. Thank you for your heart and your willingness to share with sacrifice. So beautiful. Praying so many blessings on you. No words will ever express how grateful I am to my Savior for breaking me free of addiction, homelessness, anger, sadness, abandonment, and loneliness. He is Almighty God and I am forever in debt. And as for you Katie Davis and your beautiful children, you have all left an impression on my heart that will NEVER go away. You have allowed me to see what true love is like, true unselfishness, and true beauty from the inside out. I love your ministry, your children, and your unfailing love for Jesus! I will keep you all in my prayers and will send an offering in the near future. God Bless you all. You, your family, your story, and your words are so encouraging to me. You inspire me as I reflect on my "unproductive" days. I hear God calling me to missions... I'm just trying to figure out my next step in that direction. Thanks for sharing with us!!! God Bless! Katie! Wow - you have SO inspired me. I love your raw honesty and passion for Christ! Even though you feel so human, you have done what most of us would never dream to do. I have posted your youtube video on my blog, I hope that's okay! I even shared it with my Nana, who does not know God personally. She loved seeing the smiling faces of your children. Thank you for giving me an opportunity to speak to her through what you're doing. Bless you, in our Father's name. Thank you, katie!! exactly what i needed to read today! May God continue to bless you as you become more aware of His spirit and pursue Him! thank you for being obedient to the Holy Spirit, katie! Exactly what i needed to read today. May God continue to bless you as you pursue Him! God is Awesome and you my dear are serving Him in a Mighty way. We the readers of your blog and book know you are human and that, sweet one, is why we send words of encouragement. Thank you for your humble spirit and scripture filled words. What an expression of commitment! Please don't ever feel overwhelmed that people are only expecting romantic and magnificent stories of your daily life. I think we all know that your days can be long and hard, often with sorrow and disappointment as well as others that are wonderful and filled with miracles. We are all just grateful for what you do for the Lord and all of the people who enter your life. The Lord has blessed you with the gift of seeing him in all things big and small, good or bad. Our prayers are with you through all of it... the wonderful times and the hard times. All Praise be to HIM!! Katie, your life glorifies God completely! Because you glory in your weakness! But we have this treasure in earthen vessels, so that the surpassing greatness of the power will be of God and not from ourselves!! 2 Cor. 4:7 I am praising God for you tonight! Thank you for sharing your life with me. I look forward to every new blog you write. I wish I could be in your home showing you how much love I have in my heart for you and your children. I send them my hugs and kisses. I read your book and am reading it again. I have shared God's story of how He used you in a powerful way with my friends. God bless you and your family and the work you do everyday for Jesus and all the children of the world. all this is simply unromantic life, but like moses, whose face shown with the glory of GOD after his times spent in the very presence of GOD, your life shines HIM as you live the ordinary with HIM. not you, but HIM, and thus, to GOD be the glory!! I just finished reading your book. Your words have encouraged and convicted me. Your stories have inspired and rebuked me. In short, God has spoken to me through you. I marveled at the faith God has implanted in you and begged Him to work in me the way He has in you. I am actually about to enter a different kind of mission field. I will be working among Native American children in a boarding school from 1st to 12th grade in Arizona. I have actually had a desire to work among Natives since I can remember. Your book and blog were just what I needed to prepare and strengthen my heart for what is coming. I am sincere when I say that through your book and blog, you have become a mentor to me. I am amazed at how God has manifested Himself in your life. You have been such a blessing to me. Thank you :) May God continue to shine through you and continue to overwhelm you with His love! Katie, every time I visit, my heart bleeds with tears of joy. The purity of your words impact me so profoundly that I am touched at the center of my heart. I believe that is how it should be. To be moved and affected. Truly it is Christ. I know it is! Thank you. There is so much I want to say, but I...cannot seem to put the words together, and yet I know God knows. The things I can say, the lesson I can emphasize based on your sweet words: communion with God. That is my life's pursuit. I want to be in holy fellowship with God, connected heart to heart and with the most initmate of encounters in the Spirit. I just wanted you to know that you bless me. Your ministry is there and it is here as well. I received a package in the mail last week from my aunt, it was your book. I had no idea what I was in store for. I don't have words to explain how much your words have changed me and stirred a passion that I have put away about two years ago. I went to Ghana in the summer of 2010 for three weeks and loved every moment. As I read how you described the love you feel for every person you see in Uganda, I was reminded of the feeling I had in Ghana. It truly is amazing to KNOW you are in the center of Gods will isn't it? I know that you are busy so I understand if you can't reply to me but I just want you to know that you are an inspiration. You wrote that you don't feel courageous or amazing when people tell you you are, but YOU ARE because not only are you making a difference, you truly apply Gods word to your every day experiences and that is something to honor now a days. I have put aside the fire that burned in me when I was in Africa because life got in the way and I didn't do anything about it.. but you have been used to remind me of what God is asking.. I know we have never met but I feel like I have met you before.. I am very interested in maybe one day being able to come help you for a few weeks. Thankyou so much for your words and give the girls and Christine a big hug! (Suzanne2006_@hotmail.com) If possible to e-mail me. Hey Katie ! I had the pleasure of meeting you in Nashville last fall at your book signing. I can't tell you how much your writings mean to me. God has gifted you in so many ways.As hard as I know it is sometimes for you to share,thank you for doing so !! 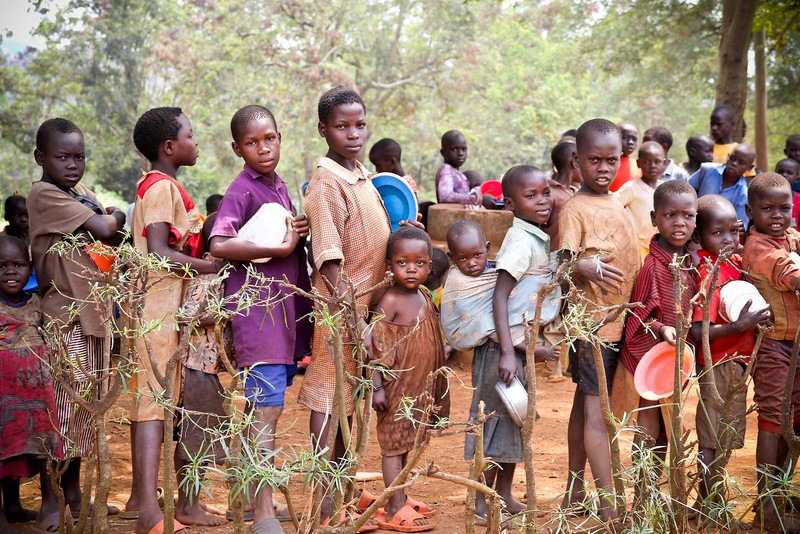 I was NEVER more excited than to hear about the change in the people of Masese. I just wanted to share with you how much reading your blog has meant to me. I am a WAHM to 6 beautiful kids, my husband is currently serving in the military, and I'm going back to school online. I am exhausted. Most of the time I feel empty, like I have nothing left to give. Your blog has lifted up my head, to my Maker. It has been a beautiful reminder of what is important. My husband is going to seminary school and will be done with his military commitment in less than 2 years, at which time we will be going into full time ministry. We have no idea what God has planned for us yet, but it's so nice to read about someone else saying, it's ok God, one step at a time is all I need from you! My oldest son has a burning passion for Egypt. He is 12. I tell him later, later. No more! If God wants him in Egypt, He will make a way! Your story has opened my eyes to the truth that God calls who He calls, when He calls them. I will not stand in the way of my son answering God's call! Thank you for sharing your life with all of us! I recently learned that we cannot allow others (or ourselves) to determine who we ought to be because they (we) don't KNOW who we ought to be. Only God knows fully, so it's really only His expectations for us that matter. You're doing just right by being a mama to those girls and teaching them by example to love, love, love their neighbors because God loved them first. What a blessing you are to do what you do & then write to share with us the greatness of God. Praying for you! It's called "only thing" by Ronnie Freeman. I encourage you to look at the words while you listen. God's lovely hand in your life, leading you, and your obedience to that leading, His strength He gives you, the magnificent insight into His grace, mercy, love and being....it simply amazes me. He amazes me! And though there are so many days when I don't get the world....and I don't always "get" God....I am thankful that He gets me, He loves me! ...and my lack of faith, my lack of love, my lack of mercy never limits God in His abundant giving of those things from His heart to us. God often uses your experiences and thoughts to open my eyes to so much truth that is Him. Thank you for sharing your heart and for inspiring others to realize that God has called us all, not in the same way but He has called us. This is the first time I have read your blog and I am so excited to read more from you. Thank you for reminding me to always be thankful to Him. Yes! Praise Him, Praise Him!!! Thank you so much for sharing your life for others to see. It is amazing how much God is using your book to revive the missionary heart that I once had stronger. My husband and I are in bible college and would like to be on the mission field some day--and its amazing how much living the average american life has brought such complacency and lack of urgency for this dying world. Thanks for letting Jesus FIX your eyes right on it--so that you can not forget--and encouraging others to do the same. Seriously I could pack my bags tonight and come minister with you---I don't think the timing is exactly right--but wow- I am so encouraged to continue pursing a life of missions with our family whatever that is going to look like!!!!! Reading your book, and your blog, and "seeing" as much of your life as you choose to share... I DO think you are a compassionate, beautiful person. I think what you are doing is good and right and I admire your love for and admiration of our God. But the thing that I think is awesome, isn't so much about you and is more about the glimpses of God that the world gets because of you. Thank you Katie for your ministry and your book! I just finished it this morning and was so blessed and encouraged...and stretched and convicted by what God is doing through the life of a girl my own age. So unjust and sooo AMAZING all wrapped up in one. I feel that way a lot! Katie, I just finished your book and I am so happy to see your blog here as well. I rejoice to see God's work in you and through you and the ministry around you. I have had a heart for babies with 'chocolate skin' for several years now. Keep writing, and keep loving on those babies of yours. I am praying for you. PS No need to reply to this- you have enough to do dear sister! 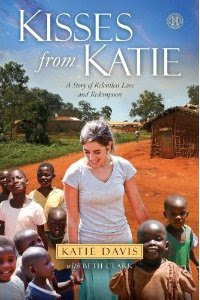 Katie I bought your book thinking I would learn more about Uganda since my husband and I support three children in Kapchora. I did learn more about Uganda but you opened my heart to the country and showed me how God is using you and so many of us to support these beautiful children. Thank you for all you are doing, you and your family are now in my prayers and I will share your book with all of my friends. Hi again, Katie! :) I just commented, and want to add to this post also. As the single dad of four wonderful (and sometimes trying;) kids here in Alaska, I can also relate to being so busy that there is never enough time to meet all the demands. (For example, we just got back to the house after five days on the Copper river, dip netting by hand and catching 350 sockeye salmon :) Yummy! Nor is there always enough patience to smile through all the spills and frustrations, or enough time to teach all the lessons. We do have to accept our limitations, and that is one simple way that we humbly give glory to the Lord. He alone can meet all needs, and as you have said, where our strength ends, His is just beginning. "His strength is shown perfect, or sufficient, thru our weaknesses." As I read of your time to reflect and connect with the Father, in the adoration that comes when we see His hand of love and redemption, I remember the many times I have had that same urge to draw close to Him and listen. I remember the example of Jesus as He went away on the mountain to pray. He didn't attempt to meet all needs, and He didn't try to muster the strength even He needed from the Father. He simply went back to the Source of Love, and listened, and communed. My kids are firm believers, and we often see prayers answered so directly that they have a hard time imagining people not believing in God. Yet I remind them of our weaknesses and sin. I try to teach them how easy it is to stumble. We will pray for you together this evening as we can some of the many salmon we were just blessed to harvest. I pray you have all the strength you need to give in every way the Father wants to use you. And I'll pray you have peace about taking time to commune in spite of all the demands. My name is Ashley Prosser and I just graduated from high school, and was planning on heading to a small Baptist college in the fall. My whole family has read you book, and they are in love with your story so I have begun reading it myself! With my busy summer schedule, I haven't gotten very far into the book but cannot wait to get further into it! After talking to my family about your story, I started thinking about my future plans, and realized that going to college was not something I was particularly excited about. I have had a huge calling for Africa since my sister adopted a beautiful little girl from Ethiopia about two years ago and have wanted to go for a while now. I don't know exactly what God has planned for my future, but I know I want to serve him in whatever I do with my life. I have had it in my head that I may want to go to Africa and work with children instead of leaving for college right away but did not know how to mention it to my parents! Just about a month ago my mom mentioned to me that mission work may be something that would be good for me instead of going straight to college! I was just wondering if you had any suggestions about where I could find an opportunity in Africa, I know I am short on time because school starts again in August but I am willing to work very hard to do whatever God has in store for me! This really resonated with me. Here we are, having moved to India to help run special needs orphan homes. So many tell us how "inspiring", how "amazing" etc. we are. So days really are what we expected... we're doing adoption files for kids to help them get home to a Mommy and Daddy, we're praying over kids in the hospital, or hugging and laughing with children to distract them from the heat. Other days... other days are just, well, "normal". Not grand, not amazing, not- by most standards- inspiring. Are we really being supported by people to do *this*?! The mundane. The days when someone in our family of 6 is sick and I never even venture out to one of the homes. The days when the power is out longer, and I can't accomplish much. Worshiping in the everyday, praising His name in the mundane... HE is all the AMAZING we need to be. Thank God for that! We spoke of you last night at our women's book club (we read your book) and were taken aback at your obedience and faith, not your perfection because you're not perfect. None of us is, only Christ. We all admired your sense of "Ok God, if you say so" approach to it all, the 110% effort you give to saving any life that stumbles upon your doorstep and the way you give God all of the glory. YOU are not doing a work in Uganda, He is doing it and you are His vessel that He has chosen because He knows you inside and out. He has faith in you to do what He wants there. People say you're awesome because they can't imagine it...a life of obedience is hard and to have one so young modeling it so well, it's awe-inspiring. You have inspired me and a community of women (men too) at my church here in VA.
You are simply living life... you walk with Christ in a place with suffering those of us in developed countries don't see and can't fathom. Death is not real to us. Thank you for living your life before Christ and us publicly so that we witness 1. that God uses willing vessels- anyone, anywhere. 2. True passion for Christ is not just for those who are "amazing"- it is for anyone who calls upon his name. 3. That people on the other side of the world are real and their suffering from lack of basic medical attention is real and it is equal to the suffering we would experience if places were traded. You aren't amazing :) you're just a girl who keeps saying yes. In a church culture where we are so hardened to our own "no's" to God- it is convicting, cutting, and enlivening. Thank you for sharing your journey. You are simply living life... you walk with Christ in a place with suffering those of us in developed countries don't see and can't fathom. Death is not real to us. Thank you for living your life before Christ and us publicly so that we witness 1. that God uses willing vessels- anyone, anywhere. 2. True passion for Christ is not just for those who are "amazing"- it is for anyone who calls upon his name. 3. That people on the other side of the world are real and their suffering from lack of basic medical attention is real and it is equal to the suffering we would experience if places were traded. You aren't amazing :) you're just a girl who keeps saying yes. In a church culture where we are so hardened to our own "no's" to God- it is convicting, cutting, and enlivening. When the Lord looks at you, he sees a finished product covered in the blood of his son. How can he be anything other than happy with that? What rest there is from performance in that! Thank you for sharing your journey. I have just completed your book. Your words are so inspiring and so encouraging. I felt as though I were with you in Uganda. It made me so homesick for Kenya; a country and a people who stole my heart. I had so hoped that forever in Kenya would be God's plan for me, but will gratefully serve in the places He has planned for me. There is much work to do with reaching the lost wherever we are, I am thankful He has allowed me to experience so much. Thank you Katie for being open and willing to follow our wonderful Lord and Savior Jesus Christ and sharing your life with us. You are living my dream. God bless you. I envy and adore you - you and your family are in my thoughts and prayers! Your so right! To Whom else would we go? Thank you for this encouragement. I sometimes feel that I don't do enough. That I am doing nothing for His glory. Thank you for the reminder that loving on Him is my only purpose in life. I am praying that you are richly blessed! Katie - My constant prayer is that God will keep you safe, physically, emotionally, and spiritually, and allow you to enjoy the results of laboring for God in a distant part of the world. I am thankful for you and your work. Bless you. A friend of mine reported this on her Facebook page, and right before I began reading this I was feeling completely overwhelmed with life and everything that had gone wrong this morning. For whatever reason I decided to click on the link and read this. Now I know why. I'm thankful for the ways in which our God works, because of this blog I was reminded of His love, guidance and most of all His sacrifice. I don't know you, but you are in my prayers and I know God is doing wonderful things in your life. Were the landslides near you? Are you and your friends ok? Praying for Uganda this morning. Thank you for opening your home to us while we were there with Tina! I fell in love with the land, your purpose, and sweet Tipita and Grace! Grace sat on my lap through the whole church service the next Sunday, and drew pictures. I know that day was so hard for you and I will pray for peace for you and the family of the little girl. You are a joy and a blessing, as are your precious girls! My name is Abby Cook, and I am 14 years old. I just wanted to thank you so much for making this blog. I have a passion for Uganda and God has really, truly called me to have an orphanage in Uganda. Your story is inspiring and your book is being passed around my town like gold. I have yet to read it, and still know your whole story because of how much my friends are inspired! Don't worry , i am next in line to have it. :) It breaks my heart when i read your story because i want to just be there with you. I hope to someday say these things to you in person, and you should know that God is forming quite the task force here in west Michigan that are all eager to come to you and just waiting on God to say move. A small yet growing revival has begun here so i ask you to please pray that we stays strong and that our patience does not run out. You are in my prayers forever. I totally loved your post, and no you are not awesome. However, you are letting God work in you and create an awesomness! This has been such an inspiration to me, I try to follow the little way by St Therese - similar to what you are describing. The truth is, all we need to do to glorify God is to the tasks he sets in front of us. Your story helps me put it into perspective that, although two of my 6 children have painted their faces black with sharpie markers...it's really not that bad. As a pastor's wife I know the weight of expectations that are impossible to meet, work that never ends, and the emaciated figure we see when we compare who we are and who we are "supposed" to be. I also know that freedom comes to us through Christ, and sometimes you just have to keep on keepin' on! :) I will be praying for Jesus to continue to draw you to Himself. Much love from Austin!! I find it so inspiring and refreshing that you are so honest about your life and family. You don't pretend to be perfect, you tell the stories that aren't so happy as well as the good, you tell the truth about living in Uganda because we tend to romanticize it a little too much. I love Kisses from Katie and praise the Lord for the work He is doing through you and your daughters. Praying for you all! Katie, your words are beautiful and what you do is inspiring. I am praying for you and your family. I really needed to read these words today. Thank you, every time I read your blog, it refreshens me in a extraordinary way. From Costa Rica I pray for you and give thanks to the almighty God who makes everything possible. I got your book for my 49th birthday and love it. Two of my daughters have already beat me in reading your story. I appreciate your honesty and how you share your faith journey. That is what makes your book good. I like the thoughts you shared in this blogpost also. So much truth in our total dependence on communing with Christ Jesus every day. I needed to read this today, Katie. You wrote it a couple of weeks ago, but I needed it today. My life is different than yours, but I so identified with what you wrote. I live in American suburbia, am a wife and mom taking care of my two daughters, in the middle of home study paperwork to adopt from Ethiopia, and loving on my sister's two daughters while she battles a terrible addiction. It isn't glamourous, and I loose my temper, and feel dog-tired and overwhelmed. Thank you for pointing me up. Like I said, I needed that today. I appreciate your transparency. My name is Natalie Bendinelli and I am 20 years old. I have always had a deep desire to travel to Africa that began when I was younger, but I have never had the opportunity to go, or the timing has never been right. My boyfriend saw your book a few months ago and bought it for me and when I read it I couldn't believe your dedication and drive in helping those kids. Your love for God is so evident in the fact that He is your first love above all others. I was encouraged once again for my passion of the country and my love for the people that I have never even met was sparked once again. I've never known why I have such a passion to travel to Africa, but I know that there are needs there and that God will use me in mighty ways, whether in Africa or somewhere else. A few weeks ago an opportunity fell in my lap to travel to Uganda with my brother and my father. I was so excited! It hasn't really hit me yet, that I will actually be coming to Africa. I am traveling alone, with no organization except for the organization of my Father in heaven, who will determine what we do upon arrival in the country. 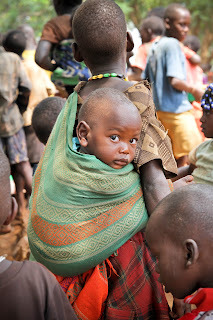 We are flying into Entebbe on August 2nd and staying in Banana Village for the first week. 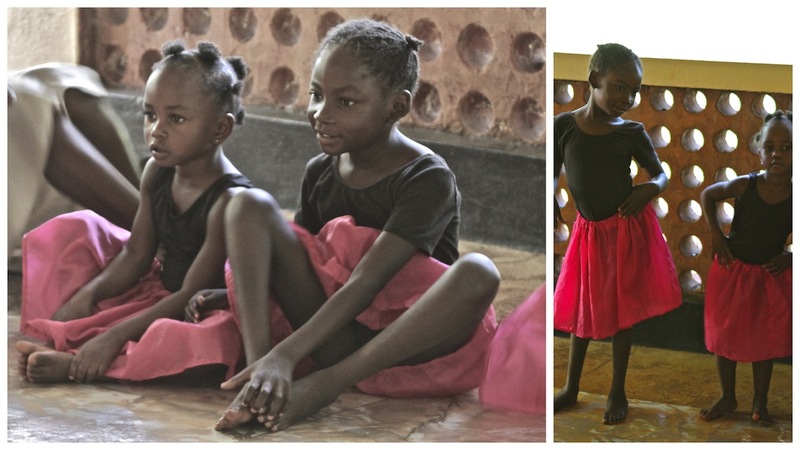 We have been in contact with several orphanages and schools in which have all been extremely gracious in saying that we are welcome and that they are in need of our help, which I am SO excited about! Other than that we have no plans and are going with open hearts for whatever God may use us to do while we are there. We will be staying from August 2-16th and my heart is to help people, show them the love of God, and just be available to do literally whatever the people there need of us for those two weeks. I just can't allow myself to believe that it is an accident that I read your book a few weeks ago and am now FINALLY traveling to Africa, let alone the exact place that you are. I'm not sure how far I will be from you but I would be filled with joy if my brother, father and I could come stay with you and help you out with the magnificent and God-filled things that you are doing there. I know that you aren't able to contact every person back. I know that you are busy and I'm not even sure if you will read this. But I know that my trust is in somebody bigger and that He is holding me in His hand and if He wants us to connect and spend time together in Uganda, then it will happen exactly like it supposed to. I pray for your safety and for the safety of the people that you work with and that He may refresh your heart upon reading this and upon knowing that you are impacting people not only in your sweet country but also in very faraway places. Again, I would love to meet up with you in Uganda and hopefully have the opportunity to help you out in any way possible. Thank you so much! I'm impressed with your faith and courage Katie. I have a sister that put college on hold and moved to Kenya last month to work at an orphanage. She'll be spending six months over there. I think your book inspired her. She has a big heart like you. Her name is shaley and has a blog at http://shaleyinkenya.blogspot.com/ I wish you the best and know that God will continue to do great things through you. we need do more thing for them, because we are family.Miami Heat is great team in this season, they are the NBA Champion, let us look forward to new season, james harden jersey and anthony davis jersey will play a crazy season in next season. Probably reading a comment is the last thing you want to do right now, but I hope you'll give this a few seconds. I want to tell you something, friend-who-I-don't-know... I want to tell you that when people say you're awesome, they're trying to express that they get it. And that's beautiful beautiful. That means that God is moving in them and helping them see what you've done through his eyes. I'll go a bit further: your work as a mother and as a founder of Amazima are only part of what you have done -- you've lifted peoples' eyes to understanding in a new way compassion, redemption, trust, resilience, faithfulness, and love. Why balk at that? A wise man told me that we should never despise the platform God gives us. If God's desire is for you to receive accolades that other people who do the same never hear, for the purpose of making known his character and his heart, then accept it my friend. We only mean kindness when we use words like awesome. We know that you're as human as the rest of us. That's why what you do is lovely; it's because of that, not in spite of that. You helped turn my life inside-out. I don't know yet what God is going to do with that, but I look forward to seeing. I'm grateful for every brother and sister in Christ who feels just as drawn towards your response to God's literal call as I am. I have really been praying lately for God to reveal to me where he wants me and His true plan for my life. I have always had a heart for the abandoned children and to help them. This past summer I had an opportunity to do an internship in Cieneguilla, Peru at a childrens home. Here God has shown me that abandoned children is where he wants me but I am not so sure it is here in Peru. My heart has always had a special place for Africa. I feel God is calling me to GO. The bump that I keep hitting is How? I have really been reading your stories and my heart is drown to it. I am majoring in social work and my question is do you all allow individuals to come and work with you or know of anyone that does allow short mission workers? Thank you and God Bless. I purchased your book in the store a month ago, because your faithfulness to Christ and to His work touched my heart. Thank you for openly sharing with the world your surrendered heart and the many ways in which Christ is leading you to be His hands and feet in Uganda. You have challenged us to raise our level of commitment to Him. You are such an amazing, magnificent work of our Lord. Your book was by far the best I've ever read and I was truly saddened when it ended. I wanted your journey to keep being a part of my daily thoughts. It has, however, become a part of my daily prayers. God, through you, has taught me the power of prayer and praise. He has also shown me through your journey that we don't have to travel far away to serve Him, but that we can be followers of Him, and live for and serve Him right where we are. And what an honor that is. To be called to do His work. Bless you sweetie, in all you do and know you have touched so many lives. came pen pals with one beautiful Billy Atieno in Kenya thru the Maisha International Orphanage run by a dear friend from Kenya herself...Beatrice Williamson. We had the extraordinary experience to be able to meet her after 4 years of prayer, sponsorship and letter writing and I must say you understand my feeling after a first visit to Africa. The range of emotions...I find it difficult to settle back into my life here. I read your book shortly after and felt as your words reflected my heart. But what has struck me the MOST, though I do admire how you are working thru God in every way, was your ability to SEE what is told to you in the Bible and be able to directly apply it to everyday life. I have never been very knowledgeable about the Bible...though I have been studying it more and more the past 8 years...What I am trying to say is that other than your dedication to your family in Uganda what really inspired me thru YOU was God's words. I know they are right in front of me in my own Bible but thru your stories and experiences God's word has really spoken to me. Thank you for that. I cannot move to Uganda or take that path you have but I now know I CAN help who is right in front of me and love deeply whomever crosses my path today. I am deeply involved with my beloved Maisha in Kenya and am working towards helping their organization and my African daughter Billy and many other friends there. I was overwhelmed when I came home but your words helped ma muddle thru and make a path for me...I am OPEN. Praise God! I will continue to pray for you all! This is the first time I have looked at your blog. I started at the very beginning and worked my way to this post. I love everything that you have to say and must admit that I'm a bit envious of your work in Uganda! I was so surprised when I heard of you and your work there and all of your beautiful children. I bought your book just a day ago and am already half-way into it. I can't wait to one day have/adopt my own children; hopefully just as many or more than you have! My name is Blythe and I'm one of four daughters (maybe more later in the future, who knows?) and I'm on a 6 month mission trip around the USA. We're originally from Georgia and have lived there my whole life. I can't imagine what it's like where you are and there are so many things that we take for granted here in the states. I've always wanted to go somewhere out of here, in another country, to help serve the people there. I'm sponsoring a girl in Bolivia now and I cannot wait to one day go meet her face to face. At first, I believed I was just too young to go to another country, but by the inspiration of your life/blog I believe now that the younger, the better! I'll be praying for you and your work. Keep it up! What God has done and is doing through you and your life is amazing, beautiful, and such a blessing to so many. "To adore the one who created the Heavens and the Earth, to give thanks for who He is and all He has given, to worship and commune with Holy God, whispering in the quiet, clinging in the noise, believing in all circumstances – this is what makes a life large. What beautiful words. This touched my heart and soul. I cried through this post. This post is one of the best things I have read in a long time. It is also the most needed in my life right now. Whenever I need uplifting and inspiration I always come here. God has sent you to more than just Africa. He has sent you and your words to the ends of the world. I'm here in ohio and you are my inspiration . You always make me look at my life and where I am at the present time. I thank God for you and all you do. Be Blessed always and know that you are helping people worldwide. We all love you Katie. 19 days before I get to experience Uganda for the first time. I thank you for your words. Although I know you are not looking for accolades, I must say that your humbleness and constant pursuit of Christ is a beautiful example for believers to follow. I thank you for each blog post, facebook update and book you write. Praising God for how He is using you!! Thank you Katie for writing the book. You are wise in the Lord far beyound your years. I have been a missionary in Guatemala 16 years, to Mayan children with special needs who can't gain an education in the national system. I have experienced & felt so much like you but could not put it into words as you did. I too love my life! God is my husband & provider of our 100 children! Thank you for all that you do. I am so thankful to have stumbled upon your blog when I needed it the most. So many people are being helped through your words. I will pray that God keeps you strong and close to him no matter what trouble you see. We must remember that we are living not for this world and that all we endure will be rewarded to us in heaven if we just stay close to him. Katie, - I just finished your book and was so touched by your story. -Reading about how you choose to follow Gods plan to live in Uganda, instead of your own "Self-written" plan is inspiring, and encouraging to me. Thanks for writing a book, and for all your doing to help people become educated about what it's really like in Uganda, and the needs there. - It's just breaks my heart to think of all the needs that we could help fill if we just took the time to help, and not payed so much attention to making ourselves comfortable. Your story opened my eyes anew to the pain and suffering of Gods precious children, and it has caused me to start looking into some ways that i can help. You and your family will be in my prayers!